Whatever you want, Deacon John has it. This is why President Bush invited him to play at the Congressional Ball at the White House in 2005. It is why he was chosen to sing for the historic inauguration of Louisiana Governor Bobby Jindal in 2007. It is the reason he has performed at every New Orleans Jazz & Heritage Festival. Deacon, with his band Deacon John & the Ivories, was the first rock’n’roll musician to play with the New Orleans Symphony in 1970. In the 1980s Deacon’s prowess on the slide guitar landed him a part in Allen Parker’s movie, Angel Heart, and a national television commercial for Miller Beer. In 1990, he released his first CD, Singer of Song, followed by his second CD, Deacon John Live at the New Orleans Jazz and Heritage Festival (1994). In 2000, he was inducted into the Louisiana Blues Hall of Fame and taught blues music in the schools throughout the state of Louisiana. In 2003 Gambit Magazine named Deacon Best Male Performer, Best Rhythm and Blues Artist and Entertainer of the Year. Also in 2003 Offbeat magazine awarded him Album of the Year, Overall Band of the Year and Best R&B/Funk/Soul Band. In 2006 Deacon was elected the first African-American president of the New Orleans Musicians Union. 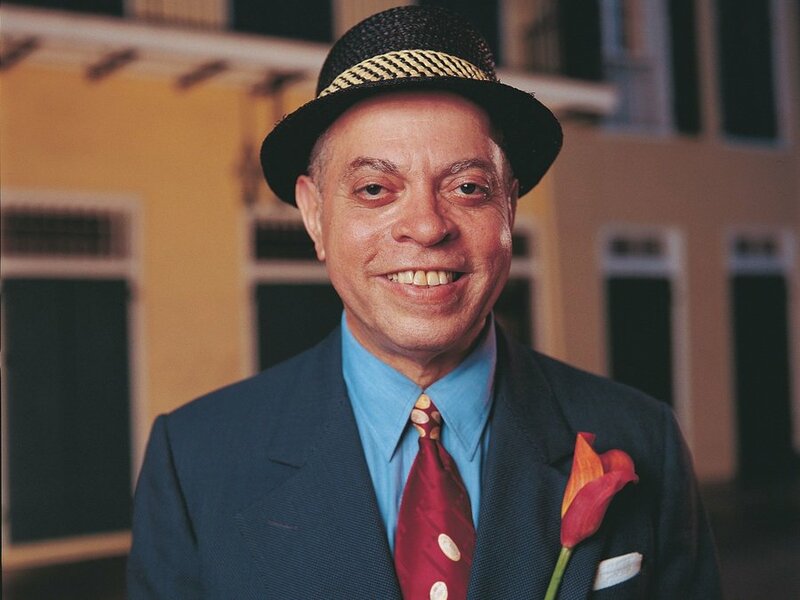 In 2008, the United States Postal Service and the New Orleans Jazz & Heritage Foundation honored him with a commemorative envelope and he was inducted into the Louisiana Music Hall of Fame. In 2009, he received a Community Arts Award from the Arts Council of New Orleans, performed at the Apollo Theater in Harlem, New York, and was honored with an Asante Legends Award. In 2010, Offbeat music magazine awarded him its Lifetime Achievement Award; he also received the Cutting Edge Music Conference’s Lifetime Achievement Award, and the American Federation of Musicians’ highly coveted Charles Walton Diversity Advocate Award. In 2011, the New Orleans Blues Society gave him the Snooks Eaglin Lifetime Achievement for Blues Excellence Award. In 2012, he earned the Slim Harpo Blues Pioneer Award from the Slim Harpo Music Awards. In 2013, Deacon John earned a star on the Tipitina’s Walk of Fame. Deacon has graced the covers of many local and national newspapers and magazines. He has appeared in movies, live musical theater, and has been featured in national TV commercials, including Lincoln Cars, Southern Comfort Whiskey, Snickers Candy, Blue Cross health insurance, Capital One Bank (“What’s in Your Wallet?”), People’s Health Insurance and AirBNB. Deacon has also been in many WYES-TV documentaries on New Orleans history and culture, most recently Growing Up in New Orleans and Audubon Park Memories; and the 2013 horror film, The Last Exorcism Part II. Deacon played “Danny Nelson” in the first season of HBO’s acclaimed Treme. He is currently featured in the New Orleans media campaign, “Follow Your NOLA.” Deacon is the star of the critically acclaimed documentary movie, Going Back to New Orleans: The Deacon John Film, and live concert DVD and CD, Deacon John’s Jump Blues. The band’s instrumentation is comprised of piano/keyboards, percussion/drums, bass, guitar, alto and tenor saxes, trumpet, trombone, two female vocalists, and, of course, Deacon John. Full Dinner Service is available during all of our shows! Tonight's recommended seating time is 7pm.